In this detailed fitness guide, we take you through everything you need to know about the best strength training program for over 50. Forget all of the “it’s never too late to take up the gym” or “roll back the years” opening lines you’ll have come across before. You’re a guy that’s just hit his strength training prime. Just take a look around the local iron houses. All of the strongest, most muscular guys are the ones in their fifties. They use their experience and knowledge to not only train hard, but train clever too. The guys in their twenties are young pretenders. In your 50’s it’s all about finding a quality strength training program that optimizes results. In this guide, we harness the power of maturity, resilience, and experience to make some huge changes to the way you look and feel. Being in your 50’s isn’t the time to be slowing down in the gym; it’s the time to be making great gains and developing an athletic, lean physique. You’re over 50 and wanting to get fit, shred body fat and use strength training to develop a thick, muscular physique. It might be that you want to focus on a particular lift, build athletic stamina or just crank out a monstrous grip-and-rip attitude to training. Weight lifting is where it’s at. You might have trained all of your life, or maybe you’ve not been lifting long. Regardless of where you’re coming from, strength training offers unique benefits for everyone. Increased lean mass – lifting weights helps you enhance your body by boosting the amount of muscle you have. Decreased body fat – the more muscle you have, the higher your metabolic rate is. Weight training burns calories both during, and after a workout. Lowered risk of long-term health disorders – research shows that those undertaking strength training have a decreased risk of diabetes, heart disease, osteoporosis and high blood pressure. Improved mental health – strength training has been shown to decrease your risk of anxiety, depression, and isolation. Better quality of life – Lifting weights helps to reduce fatigue and boost functional capacity, helping to keep you fit and well-conditioned. So if you’re here because you want to look better, or you’re more about lifting weights to improve your health and vitality, you’re in the right place. Age simply doesn’t matter when it comes to using strength training to feel better about the way you look. It doesn’t matter what your age is, the pride you get from having a great physique just never leaves you. This weight lifting program isn’t some kind of old guy activity plan with watered down weights and long rest periods. It’s designed for men like you – passionate, motivated and ready to make some huge changes. Why Should Older Guys Lift Weights? Once you reach the age of 40, your muscle mass begins to decrease – by a rate of around 1-2% per year. This is largely because the rate at which your body can build muscle cells begins to slow down. It’s what’s referred to as muscle protein synthesis, and it’s the primary driver of muscle mass. Sarcopenia is a condition caused by age-related loss of muscle. It increases the risk of metabolic disorders and is also linked to heart disease, high blood pressure, and even early death. As a progressive disease, it’s said to lead to a drop in muscle mass by 1-2% per year after the age of 50 . Muscle strength decreases even quicker than that. And while this sounds disastrous, lifting weights kick starts protein synthesis, slapping it around the face and making it better at its job. The best way to stop sarcopenia in its tracks is to strength train on a regular basis. Not only does your body decide to devour its own muscle tissue as you age, it also begins to chip away at your skeletal tissue too. In fact, as many as 1 in 4 men aged over 50 will at some point break a bone due to symptoms of the degenerative disease osteoporosis. Numerous clinical trials show that high-intensity strength training (basically not being afraid to lift heavy) significantly reduces the risk factors associated with poor bone density . Lifting weights also helps to improve ‘regional‘ bone density too, meaning that squats make your thigh bones keep strong whereas presses and pulls helps to maintain good skeletal health in your arms and shoulders. It does this by literally remodeling your bone tissue. One of the biggest misconceptions about weight gain and increased belly fat stores is that your metabolism has some kind of inbuilt ‘timer’. For some reason, many people believe that when you reach 50 year old you all-of-a-sudden develop a ‘skinny fat’ look where your arms and legs are thin and lack muscle, while your belly protrudes and grows exponentially. But your metabolism doesn’t drop. The more muscle mass you have, the more calories you burn in a day. Because muscle cells are a metabolic tissue, your body needs to divert incoming food energy to them to sustain their existence. The drop in testosterone combined with age-related sarcopenia means that your metabolism has fallen only because you’ve lost muscle. Build more muscle and burn more fat. It really is that simple. A well-structured strength workout not only boosts muscle mass and strength, it also add vitality, wellness, and quality to your life by keeping fat at bay and elevating your metabolic rate. One of the main reasons you can lose muscle in your 50’s is because your natural levels of anabolic hormones begin to taper off. Testosterone, in particular, sees a 1-2% decrease each year – and at 50 years old, as many as 40% of men have clinically low levels . As levels of testosterone begin to slow down, you begin to lose these benefits. But strength training does here what it does with protein synthesis – it keeps it topped up at optimal levels. 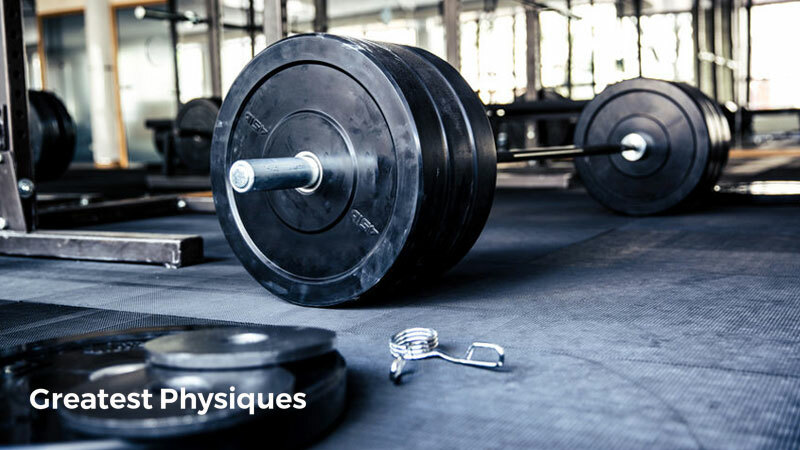 Lifting weights acts as a potent anabolic trigger, helping to keep your testosterone levels as high as possible. You might be at an age now where the odd niggle, ache or pain gives you a subtle reminder that you aren’t in your 20’s anymore. You might not be as confident in your own abilities as you used to be, and you might not feel like you can rediscover the physique that you wore like a badge of honor back in your youth. But the thought that a guy in his 50s can’t chisel out a muscular and lean physique just because he’s reached a certain age is plain wrong. As a matter of fact, it’s outrageous. Strength training is a dynamic process. Not every program suits every person, and not every person reacts the same to a program. With the right approach and a clear path, you’re only a few weeks away from a new you. But we’re all about efficiency here. Yes, you need to be motivated, but you also need to listen to your body too. Many champion strongmen and bodybuilders started their competitive career in their 40’s and 50’s. Many of the current experts in personal training and nutrition have reached the sixth decade of life too. Building muscle is all about making the right decisions. A good strength training program is about efficiency – it’s about finding successful results with clever training, not just grinding out rep after rep.
At this stage, you know clearly that strength training benefits guys over 50. Not only does it promote muscularity, strength, and aesthetics; it helps to keep you healthy too. Over the next 12 weeks, you’ll be working hard to master some of the core strength-building lifts. You’ll also be throwing in some isolation exercises to crank up training volume and focus on specific muscles. You’ll also be aiming to boost the loads that you lift and the reps you can crank out with them too. This program is laid out in a way that factors in your busy lifestyle. There aren’t any 2-hour long workouts or 6-days-per-week workout schedules. We aim to strike a balance between reaching your goals through persistence and hard work, and having the time to actually commit to the program. It appreciates that in the real world, a program has to actually work for it to be effective. Although we’ve based your strength training program over 12 weeks, there’s nothing to stop you from either making it shorter, or even stretching it out to suit your own progress. As long as you follow it in sequence, the individual timings are kind of up to you. In these first weeks, you’ll be laying down the basis of what’s to come. The emphasis on each of your 3 workouts per week schedule is centered around multi-muscle, compound exercises. We want to target your whole body here but with an emphasis on brute strength, not just mass building. The overall goal is to build a gateway of strength in anticipation of the following weeks of more challenging workouts. Each exercise in this phase should use a 10-15 rep range with a weight that is challenging. Complete 2-3 sets per exercise and try to keep your rest periods below 3 minutes between sets. In the second phase of your plan, you’ll be introducing more complex exercises with a focus on promoting as much muscle mass as possible. You’ll do this for a grueling 5 weeks. There’s still a 3-days-per-week schedule. But there’s much more emphasis on growth and protein synthesis as you use a push-pull-legs approach to your programming. It’s not quite split training – but it’s not far off. We’re going for high volume, high load and high-density training here. It’ll be tough at times, but results are guaranteed. In this second phase, the emphasis is on lifting as heavy as you can for 6-12 reps. As soon as you can crank out more than 12 reps you need to up the weight. Stick with 3-minute rest breaks between sets to maximize recovery. In the last 4 weeks of your plan you’ll be dialing into fast, energetic circuits to take your fitness to another level. We’ve kept your workouts to 3 still, and emphasized tension and higher rep ranges by throwing in some cable exercises to supplement the free weights. You’re going for 12-15 reps here so you’ll need to go lighter than in the previous phase. Focus on tension by concentrating on the mind-to-muscle connection. It’s all about how you move the weight here. Taking your rest periods down to 1-2 minutes will have your muscles on fire.